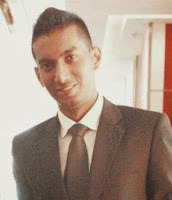 In conversation with Surendra Ananth, current President of the Asian Law Students Association. Q) Tell us something about ALSA and its history? The ASEAN Law Students’ Association was established at the First ASEAN Law Students’ Conference in Jakarta, 18 May 1989. By 2002, the five member countries, Indonesia, Malaysia, the Philippines, Singapore and Thailand, came to the idea of extending its scope of membership in order to enhance the achievement of its objectives. The International Law Students’ Association of Peking University (ILSA PKU) which represents ALSA China was established in March, 2003. The Law Association, Hong Kong University Students’ Union (LA, HKUSU) was established in 1969. It has long been a local student body serving law students in the University of Hong Kong. According to its constitution, LA, HKUSU represents its members locally and internationally. After attending a few conferences held by ALSA, it decided to join the ALSA. Enlightened by the vision and purpose of European Law Students’ Association in 1996, the Japanese law students decided to set up an Asian Law Students’ Association in East Asian countries. By the Seoul Declaration in 2001, the International Department of Legal Aid Association of Peking University, ALSA Japan, ALSA Korea and ALSA Taiwan officially decided to continue to discuss how to build a network between the countries. In 2002, after the Korean Conference and in the Asian Forum held in Japan, the merging with the ASEAN Law Students’ Association was agreed. This was made upon the vision and purpose of the first ALSA members. The basis for the national committee of the Asian Law Students’ Association in Korea was first created by Seoul National University law school students in 1998 through ALSA SNU, a full national committee by the name of the Asian Law Student’s Association of Korea was formed in the summer of year 2000 consisting of two universities; Seoul National University and Ewha Woman’s University. The ASEAN Law Students’ Association which is composed of the member countries Indonesia, Malaysia, the Philippines, Singapore and Thailand represented by Mr. NitiNernchamnong, representatives of the International Department of Legal Aid Association of Peking University, Law Association, Hong Kong University Students’ Union of the University of Hong Kong (LA, HKUSU), Asian Law Students’ Association Japan (ALSA Japan), Asian Law Students’ Association Korea (ALSA Korea) and Asian Law Students’ Association Taiwan (ALSA Taiwan) attended the Asian forum and signed the Tokyo Agreement on 7 September 2002 to agree to merge into a single association which took effect by a resolution passed unanimously by ASEAN Law Students’ Association, the International Law Students’ Association of Peking University formerly known as the International Department of Legal Aid Association of Peking University, LA, HKUSU, ALSA Japan, ALSA Korea and ALSA Taiwan on 23 October 2003 in Bangkok, Thailand. That sums up our long history. As of now, we have 14 member countries with 12,000 student members. The main goal of this association is to develop the skills and talents of its members to help them in various aspects of their professional career. It is association rich with cultural diversity, as our members come from different races and religions. However, we believe that regardless of our background, we exist as one. Thus our motto, ‘ALSA Always Be One’. Q) Tell us about how you joined ALSA and your initial days? I joined ALSA as a first year student in the National University of Malaysia. I was active in the university chapter, before I was involved in the organizing committee for the ALSA International Conference in Kuala Lumpur. During my third year of studies, I was elected as the President of ALSA Malaysia. It was during my final or fourth year of studies that I was elected as President of ALSA International. Q) Can law students from countries not a part of ALSA be involved with ALSA.? Q) How long have you been the President of ALSA? For about 3 and a half months since end of August 2013. Q) What do you rank as the greatest achievement of ALSA under you? Currently, we are realizing plans and projects put forth by our predecessors. We are still at a very early stage. However an achievement to note would be the release of the Asian Journal of Legal Studies [http://ajls-alsa.com/archive/], where credit must be given to its editor, Adrian Fong. Q) What are your plans regarding the growth of ALSA in the near future? We have a few major projects in place. One to note would be the establishment of our very own Moot Court Competition. We are preparing the ground work, and we expect to launch it in early 2015. We are also coming up with a systematic exchange program, where law students would be able to carry out internships in other countries through ALSA. Q) Tell us in brief about some activities that ALSA conducts for the benefit of Asian Law students. Our 2 major activities would be the ALSA Conference and ALSA Forum. In these events, we organize debate competitions, moot competitions, workshops, table discussions and many other academic activities. This is a great platform for law students to be exposed to the different legal systems in Asia. It is also a great opportunity for international networking. In addition, we have about 6 Study Trips per year organized by different countries. Our partnership with the European Law Students’ Association (ELSA) and the Australian Law Students’ Association (AusLSA) enables our members to attend their conferences in Europe and Australia respectively. Members also have access to summer law school programs in Europe through ELSA. To conclude, there are countless benefits for students. Q) How can Law students of different countries be working members of ALSA and work for it? The president of each National Chapter is a member of the Governing Council, which is the decision making body for ALSA. Despite coming from 14 different backgrounds, we have had no problems or issues when working together. Q) Your message for all budding lawyers and future law students. Do not stick to your books and grades. Networking is extremely crucial. In the era of globalization, your network makes all the difference. It is very important to be exposed in the international arena, may it be through ALSA, Moot or other competitions. Unlike the past, law students in the present are presented with a lot of opportunities to hone their skills. My advice is to make use of these opportunities. Dreams will only remain dreams if you don’t put in effort to turn them into reality.